Wei-Chung Wang was originally signed by Pittsburgh Pirates scout Fu-Chun Chiang. Went 7-10 with a 4.26 ERA and .299 opponents batting average in 25 games, all starts, with the NC Dinos of the Korean Baseball Organization…tied for eighth in the KBO in losses…allowed two runs or fewer in six of his first eight starts through May 18 and was 4-1 with a 2.16 ERA over that span…then compiled a 3-9 record and a 5.44 ERA over his final 17 starts…held left-handed hitters to a .285 batting average while right-handers hit .306…surrendered 14 of his 16 home runs to right-handers…12 were solo shots…yielded a .266 average with runners in scoring position and .238 with two outs…held the opponents clean-up hitter to a .206 average but the first three hitters in the order combined for a mark of .352…went 5-4 with a 3.70 ERA in 13 starts at home, 2-6 with a 4.99 ERA in 12 starts on the road…picked up the win in consecutive starts on March 24 and 30 and April 18 and May 18 for his only winning streaks of the season…allowed one run on 10 hits in a season-high 8.0 innings April 5 against Samsung but had a no decision in a 4-1 loss…tossed a season-high 117 pitches April 11 against KT…went 1-1 with a 2.53 ERA in five starts in April…lost a season-high three straight starts from May 24 to June 5 (9.00 ERA)…yielded a season-high eight runs in a season-low 3.0 innings in a 10-4 loss at Hanwha May 30…walked a season-high four batters and equaled his season-high with 117 pitches June 23 vs. Hanwha… finished the month of June 1-3 with a 5.93 ERA…issued a season-high tying four walks in 3.2 innings July 25 at Lotte…walked just three batters over a six-start stretch from Sept. 6 to Oct. 7 (34.0 ip)…had allowed just nine home runs over his first 22 starts through Sept. 23…then yielded seven home runs in 13.0 innings over his final three outings…surrendered a season-high 11 hits in 6.0 innings on Sept. 23 against Doosan but allowed just two runs and had a no decision in a 4-3 win…struck out a season-high eight batters Sept. 29 at Nexen…was 1-1 with a 2.70 ERA in five starts in September…then lost each of his two starts in October (14.14 ERA)…matched his season-low by pitching 3.0 innings in his final outing Oct. 12 at Doosan. In his first professional season went 1-3 with a 3.23 ERA in 12 games (11 starts) with the Rookie Gulf Coast League Pirates...Held opponents to a .209 batting average.....had 42 strikeouts compared to 4 walks (47.1ip)...Made his professional debut on 6/21 at GCL Yankees (L, 4.1ip, 5h, 4r, 4er, 0bb, 8k, 2hr)...His victory came in his lone relief appearance on 8/27 vs. GCL Blue Jays in his final outing of the season (4ip, 2h, 0r, 1bb, 6k). Missed the entire season as he recovered from "Tommy John" surgery on his left elbow. February 18, 2019 LHP Wei-Chung Wang assigned to Las Vegas Aviators. January 30, 2019 Oakland Athletics signed free agent LHP Wei-Chung Wang to a minor league contract and invited him to spring training. January 26, 2018 Milwaukee Brewers released LHP Wei-Chung Wang. September 1, 2017 Milwaukee Brewers recalled LHP Wei-Chung Wang from Colorado Springs Sky Sox. August 3, 2017 Milwaukee Brewers optioned LHP Wei-Chung Wang to Colorado Springs Sky Sox. July 30, 2017 Milwaukee Brewers recalled Wei-Chung Wang from Colorado Springs Sky Sox. March 10, 2017 LHP Wei-Chung Wang assigned to Milwaukee Brewers. August 9, 2016 LHP Wei-Chung Wang assigned to Colorado Springs Sky Sox from Biloxi Shuckers. June 2, 2016 LHP Wei-Chung Wang assigned to Biloxi Shuckers from Helena Brewers. May 26, 2016 LHP Wei-Chung Wang assigned to Helena Brewers from Biloxi Shuckers. April 2, 2016 LHP Wei-Chung Wang assigned to Biloxi Shuckers from Colorado Springs Sky Sox. March 3, 2016 LHP Wei-Chung Wang assigned to Milwaukee Brewers. September 4, 2015 LHP Wei-Chung Wang assigned to Colorado Springs Sky Sox from Brevard County Manatees. June 18, 2015 Milwaukee Brewers sent LHP Wei-Chung Wang outright to Brevard County Manatees. June 16, 2015 Milwaukee Brewers designated LHP Wei-Chung Wang for assignment. March 10, 2015 Milwaukee Brewers optioned LHP Wei-Chung Wang to Brevard County Manatees. September 1, 2014 Milwaukee Brewers activated LHP Wei-Chung Wang from the 15-day disabled list. August 23, 2014 Milwaukee Brewers sent LHP Wei-Chung Wang on a rehab assignment to Brevard County Manatees. August 9, 2014 Milwaukee Brewers sent LHP Wei-Chung Wang on a rehab assignment to Wisconsin Timber Rattlers. August 3, 2014 Milwaukee Brewers sent LHP Wei-Chung Wang on a rehab assignment to AZL Brewers. December 12, 2013 Milwaukee Brewers claimed LHP Wei-Chung Wang off waivers from Pittsburgh Pirates. June 16, 2013 LHP Wei-Chung Wang assigned to GCL Pirates from Jamestown Jammers. June 18, 2012 LHP Wei-Chung Wang assigned to State College Spikes from GCL Pirates. June 17, 2012 LHP Wei-Chung Wang assigned to GCL Pirates. 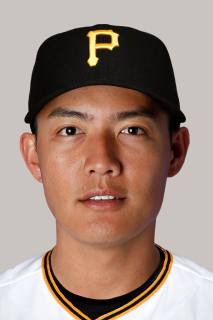 June 24, 2011 Pittsburgh Pirates signed free agent Wei-Chung Wang.